Got hungry, forgot to take photos again. Service: Order from a fill out form but it comes with an assisted picture menu with corresponding numbers for easy ordering. Atmosphere: Dim sum restaurant that is super loud. Make sure you clear your throat and be ready for an authentic experience. Bottom line: I live 5 minutes away but this isn't my go to dim sum restaurant. Don't get me wrong, it's good but the prices seem a bit high for where it is situated. Rest assured, it's a busy spot so be sure to get here a little early before the crowds rush in. What are the go-to dishes here? 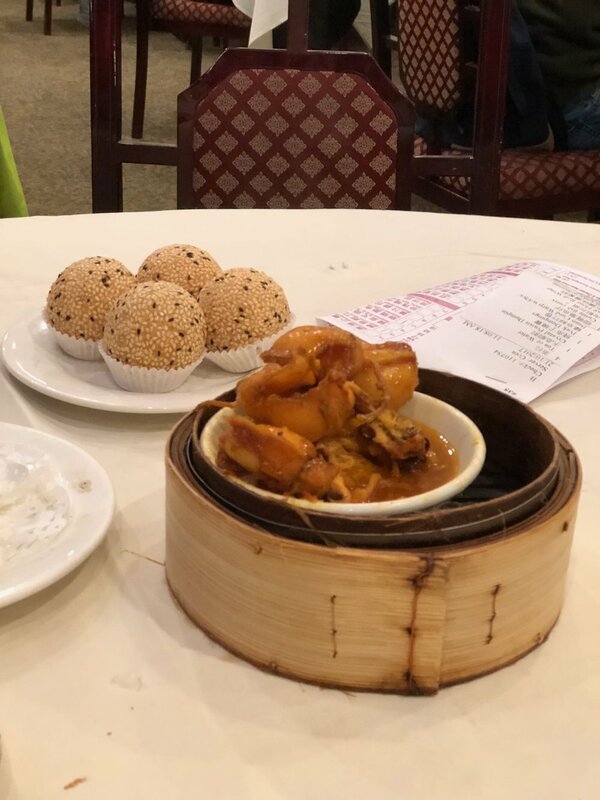 Ha Gow, Sui Mai, Deep Fried Tofu salt and pepper style with chilies, pan-fried shrimp and chive dumpling, and their sugary bbq pork bun. As you can see, the focus was on the dessert.